Best known among the locals as "Church of Fra' Ignazio", it dates back to the 16th century and it preserves the mortal remains of Sant'Ignazio da Laconi and Beato Fra Nicola da Gesturi. The Cagliari friary was one of the first Capuchin houses founded in Sardinia: the first stone was laid on 11th October 1591 and it was dedicated to St. Anthony of Padua. Owing to its importance and antiquity it also became known as the "main friary". The façade has undergone several renovations. The last one took place in 1963 by using smooth white limestone. In the same period, it was also decorated with four mosaics by A. Gatto representing the Blessing Christ in the rose window at the top, St. Ignazio of Laconi in the middle, St. Francis of Assisi and St. Anthony of Padua in the side lunettes. 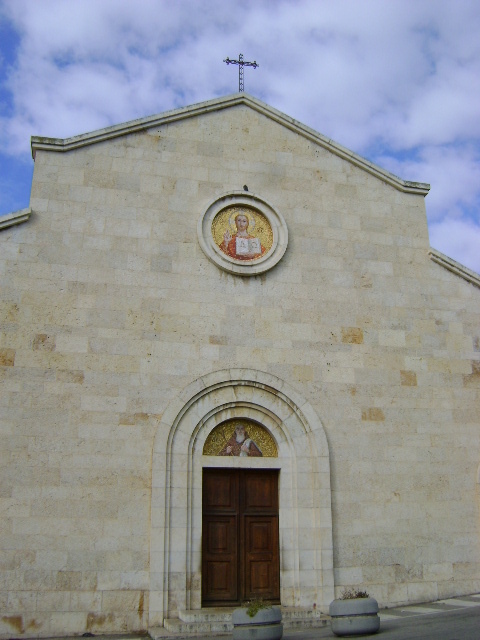 Entering the church, the visitor may be surprised by its modesty and simplicity. Until 1948 (the date in which St. Ignazio's sanctuary was built in order to keep his mortal remains), it was smaller because it lacked the left nave.